Mathew Lynn lives and works between Sydney and the Blue Mountains, Australia. In addition to working on public and private portrait commissions, his practice now explores contemporary representations of the figure and the phenomenon of personhood, based on and evolving from his many years of experience as a portraitist. 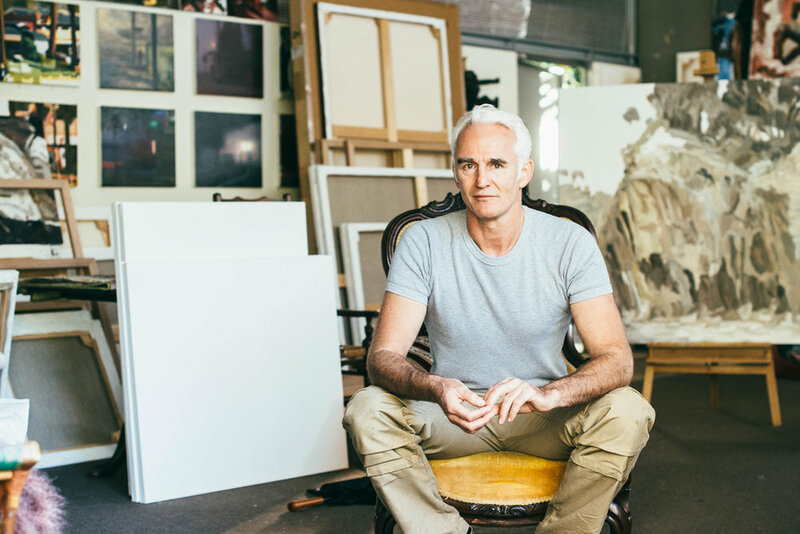 Since obtaining his master’s degree in art from the University of New South Wales in 1996, he has been a finalist in the Archibald Prize fifteen times. He has twice been Archibald runner-up, and won the People’s Choice Award in 1997 and the Packers’ Prize in 2013. He is a finalist in the 2018 Archibald Prize with a portrait of New South Wales Premier, Gladys Berejiklian. In 2010 he won the Shirley Hannan National Portrait Award, in which he has been a finalist five times, most recently in 2018. In 2018 he is also a Doug Moran National Portrait Prize finalist. He was a finalist in the Jacaranda Acquisitive Drawing Award in 2012 and 2014 and the Dobell Prize for Drawing in 2012. In 2013 and 2014 he was a finalist and commended in the Adelaide Perry Prize for Drawing. In 2013 he was a finalist and the Kedumba Collection of Australian Drawings acquired his work. He has held solo exhibitions in Melbourne and Sydney and been included in group exhibitions, including Bell Shakespeare’s The Art of Shakespeare, 2014. In 2018 his portrait of Catherine Livingstone AO was unveiled at the National Portrait Gallery Canberra as part of 20/20, one of twenty new portrait commissions. Since 2014 he has been an Artist Trustee for the Kedumba Trust. His portraits are in major collections, including the National Portrait Gallery Canberra and Government House Sydney.